- What "Adolescence" do you have? - Do you remember "Childhood"? At last it's here! 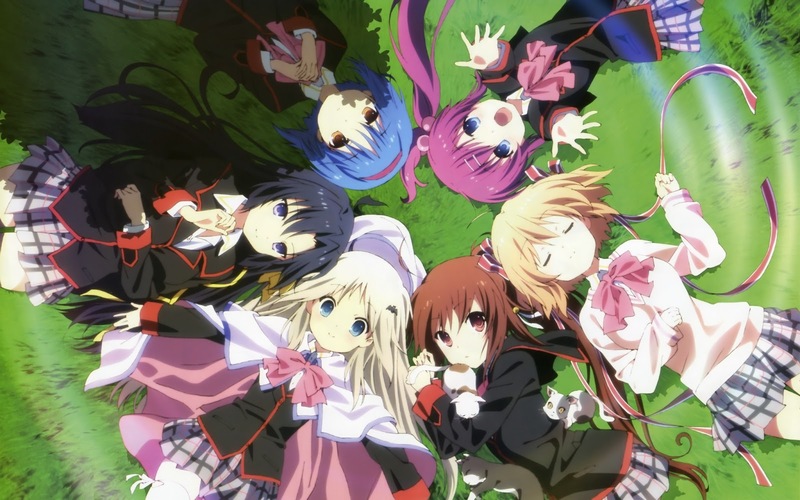 Fan of the popular Little Busters visual novel have always dreamed the possibility of an anime adaptation. Now, that dream has become a reality. 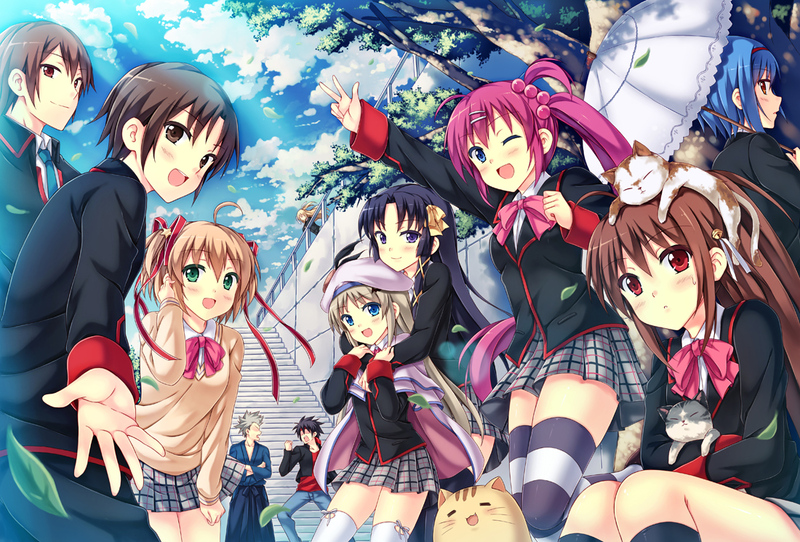 The long awaited LB visual novel has become an anime series. 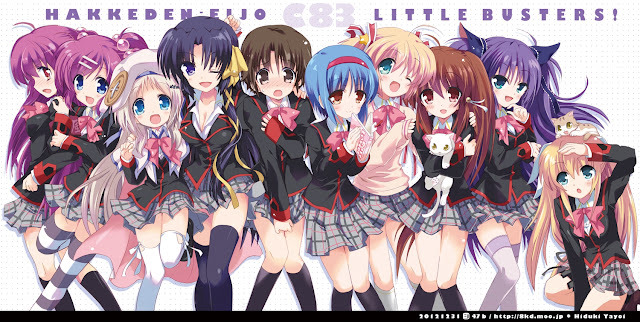 The series is handed by J.C. Staff (Toradora! 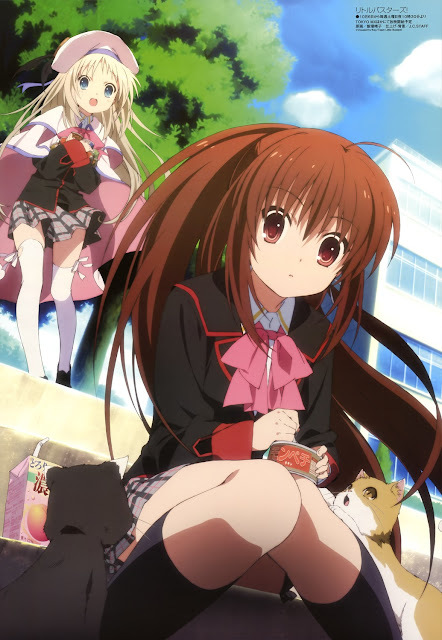 Sakurasou Pet no Kanojo, Hatsukoi Limited) who are already known for their high school settings involving students in a lighthearted environment in a zone of drama, comedy, romance, and emotions. Now, this could cause some mixed feelings for people especially for die-heard fans coming from the visual novel. In fact, the visual novel released in 2007 became ranked second for national PC game pre-orders in Japan as well as holding the number one top seller spot that summer. The polls set up later that year also gave the franchise a strong impression in all categories with the exception of visuals in terms of its rankings. This may all sound impressive but can the anime series live up the hype? 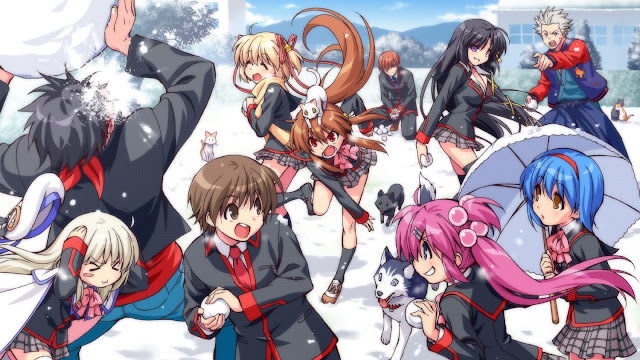 Can Little Busters gives the fans what they want and deserve? Or rather, how can it be appealing to the fans (both VN players and anime original fans)? Is it worth watching? These may all be questions some people may wonder about. Well, let us find out what Little Busters offers from its anime adaptation. First of all, the series is based off of a Key's work. They are known to bring viewers to tears with their strong emotional dialogue, visuals, and the soundtrack to present them in a way that is heartwarming. 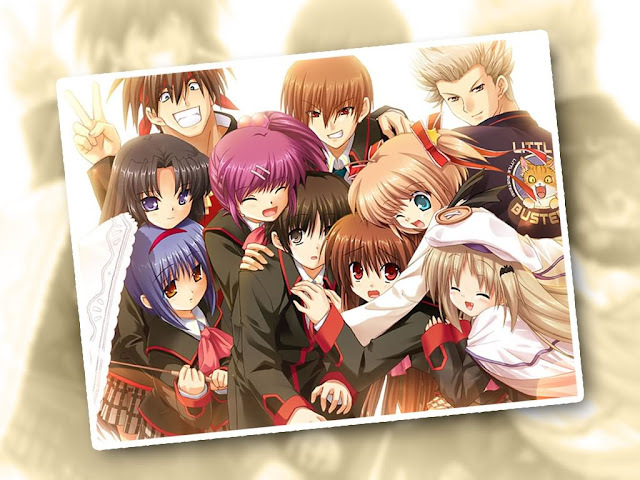 In fact, their previous works such as Air, Kanon, and Clannad (with its sequel Clannad After Story) all accomplished this in some way or form that have left a strong impression of emotions to fans. In this adaptation though, there seems to be a bit of lacking in that department. In fact, this series seem to shift more into the department of comedy rather than emotional appeal. Well, let's get to the part later but this is my original impression on the series after its first episodes. LB takes place at a high school in Japan. From there on, we have Riki Naoe, the main protagonist of the series. He is a ordinary boy with nothing much to stand out with his features; the girlish look, expressions, weak build that can sometimes can be mistaken as a trap when dressed in a specific way. Furthermore, he has a sad past that we can call a tragedy considering the death of his parents when he was young. He also suffers from a case of narcolepsy, where he suffers from a lack of sleep. Yet at the same time, we can see that Riki is a very kind boy who is gentle and has a tendency to help others in need. As fate calls for it, Riki is helping to recruit others with his group of friends known as the Little Busters. 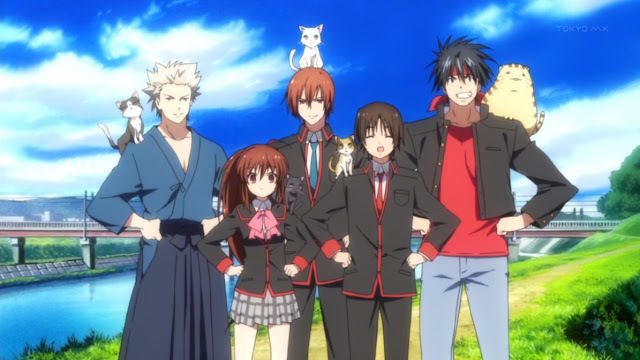 LB has it all in terms of characteristics – the hotheaded guy, the mature oniisama, the cute little mascot, the shy cat-loving girl, the normal boy who has a not-so normal health, and the leader who brings them all together. However, the problem lies in some of their characters being one-dimensional. The high school outfits most of the characters wear are also a bit generic in the sense that they don't stand out much. Except perhaps the school council president, most of the characters hardly cares about the way they are dressed at school. It is amusing at the same time though to watch what they do with the team especially out on the field together. LB brings for a heartwarming feeling to viewers especially when you're looking for something lighthearted to watch. 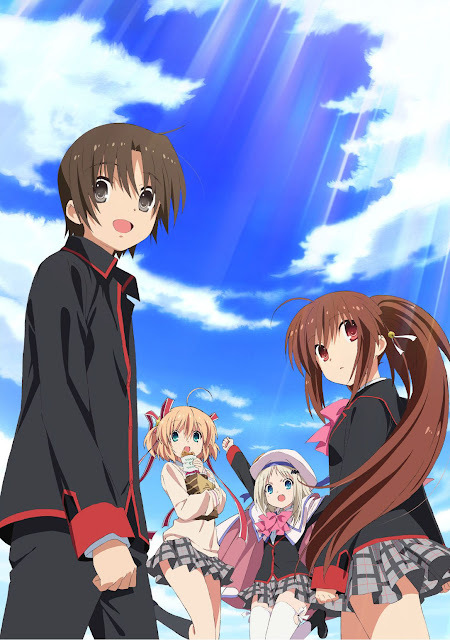 The characters themselves forms the team known as Little Busters (the title of the anime itself) and with that, they walk down a future of dreams and friendship; at least for now.